We love Santa Barbara and we think you should too. Deemed, the American Riviera, you will be welcomed with glorious beaches, jaw dropping mountains, swaying palms, and the relaxed, warm attitude of our residents. 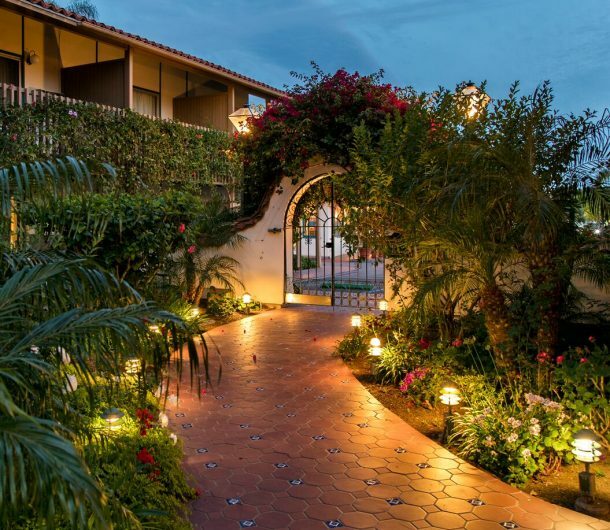 Santa Barbara Hotel Group is a family owned hotel group which features 5 diverse and delightful properties that highlight the natural, comfortable environment of Santa Barbara. Uptown, the Best Western Plus Pepper Tree in is situated at the base of the foothills and across from La Cumbre Plaza. The private grounds include 2 pools and whirlpools, a restaurant, massage room, exercise room, and firepit, feel like a resort without the resort fees. Nestled in a quiet, residential neighborhood, you can experience life like a local at the Best Western Plus Encina Inn and Suites. From the popular Live Oak Cafe, to the bird aviary, and the diverse variety of room types – the Encina is sure to be a unique and memorable experience. At the beach, our boutique properties boast thoughtful amenities, like chilled champagne upon arrival, complimentary bikes, and an unbeatable location – just a few blocks from the Santa Barbara Harbor. Because we love Santa Barbara and think it’s a remarkable destination, we will be highlighting the best activities, events, and itineraries to help you plan a memorable holiday in Santa Barbara.